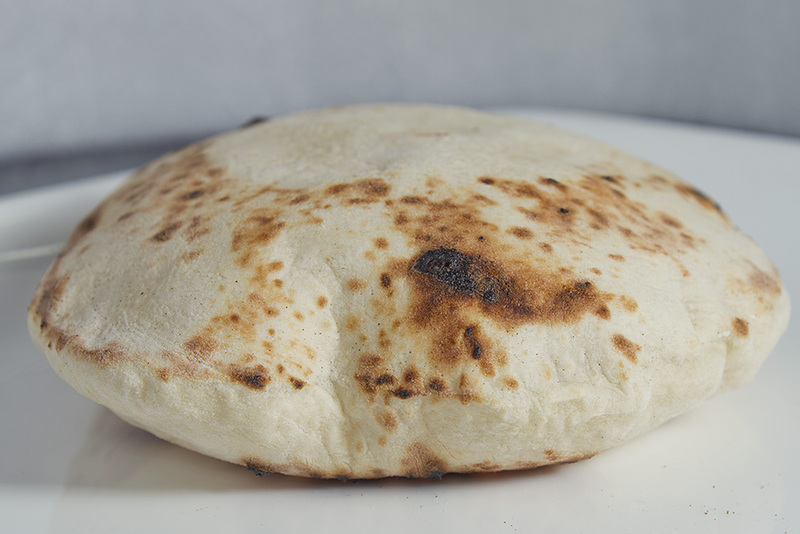 I always thought making Pita bread would be a pain till I stumbled upon this delightfully easy recipe. My new electric Pizza Pan was begging to be experimented with and I used the opportunity the day I made hummus. I wasn’t disappointed. There were no leftovers. In 1/2 cup warm water add yeast and sugar. Stir and let both the things dissolve. In about 5 minutes the water will turn frothy. Add salt to the flour and mix well. Add yeast water and mix thoroughly. Knead the dough till it becomes smooth and elastic. Coat a vessel with oil, and leave the dough in it to rise (leave it for about 4 hours). See to it that all sides of dough are coated with oil and the vessel is covered. Cut the bread into quarters and serve with Hummus or any dish of your choice. “Pita can be used to scoop sauces or dips such as hummus and taramosalata, or to wrap kebabs, gyros or falafel in the manner of sandwiches. It can also be cut and baked into crispy pita chips. In Greece, pita is a component of pita-souvlaki. These types of sandwiches involve the wrapping of souvlaki or gyros with tzatziki, tomatoes, onions, french fries, hamburgers, and condiments into a pita bread. Also, several pitas are found all over Greece (as a home meal or as appetizers, snacks or desserts), such as Kolokythopita, Mizithropita (Crete), Melintzanopita, Tsouknidopita, Kremydopita, Kreatopita (meat pie), Galatopita, Marathopita, Tyropita, Spanakopita, Malathropita (Chios), Ladopita. In Turkey, local pita is called pide, which also refers to another pizza-like food made of pide dough topped with different ingredients. Regional variations in the shape, baking technique, and topped materials create distinctive styles for each region. Such pides may include pastırma, sucuk, chicken, chopped or ground beef, kavurma (meat, generally mutton or beef, fried with suet and salt and kept for later use), cheese, potatoes, mushrooms and many other ingredients. Turkish pide recipes include the following: Plain pide is used for serving some kebabs on it such as Döner kebap, İskender kebap, Şiş kebap, Adana kebabı, Urfa Kebabı, Yoğurtlu kebap (Kebab with yogurt), Pidei köfte and Tokat kebabı, among others. 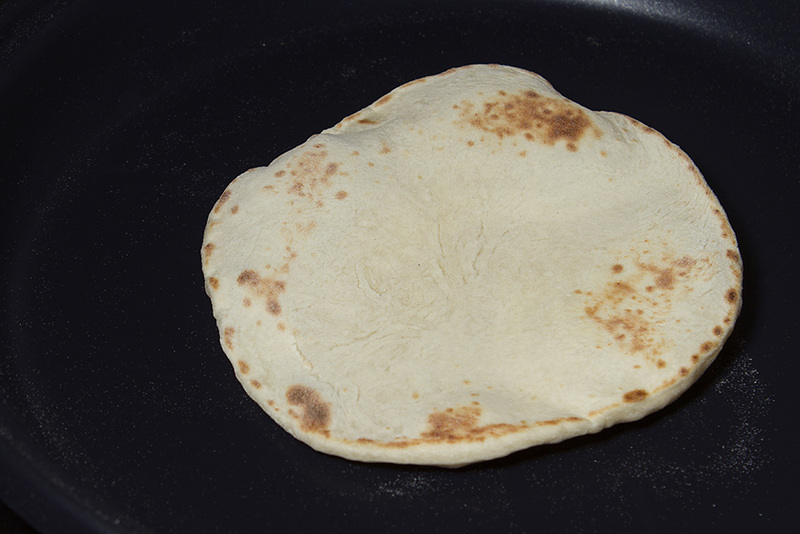 I used my electric pizza pan to bake the Pita Bread, but you can use an oven, or cook it on a stove top. Freshly made Pita Bread. The bread should puff up.